It’s not exactly a secret that Facebook is one of the top social media platforms for businesses today. Not just in terms of its sheer size, over 2 billion monthly active users at last count, but because this platform allows companies to create extremely targeted ad campaigns to reach their audience more effectively. 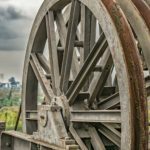 But while it’s true that Facebook can be a tremendously valuable portal, it’s important to note that not all Facebook strategies are created equal. It’s no longer enough to set up a business page and start actively posting, Facebook’s algorithm has changed drastically in recent years and today, your posts are likely to only reach a small percentage of your followers. In fact, according to one study, organic reach for the average Facebook Page is at 6.5 percent –most of your followers won’t even see your content appear in their feed. With Facebook increasingly prioritizing content from friends and family over content from businesses, it’s more important than ever for companies to adopt a strategic approach. And with Facebook’s new “meaningful interactions” algorithm update, businesses need to take a customer-centric approach with their content if they want to ensure that it’ll make it into their audience’s newsfeed in the first place. 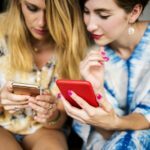 With this in mind, let’s take a look at how you can take a double-pronged approach –spending some money to boost your posts and ensure that they make it in front of your audience, while at the same time being selective about what you publish and creating messages and content that your followers will want to engage with. You need to focus on both advertising and organic reach to win with Facebook today; here’s a look at how you can. While once upon a time Facebook would allow everyone’s posts to appear in their friends’ or followers’ newsfeeds equally, today, that’s no longer the case. Over the years, Facebook’s algorithm has changed numerous times, and often these changes would mean reduced organic visibility for businesses. You’re just not showing up in your followers’ newsfeeds anymore. This means that for businesses today, you need to pay in order to be seen on a wide scale. And with over 6 million advertisers –and counting, on Facebook, there’s a lot of noise to cut through. The good news, though, is that Facebook’s ad platform is a tremendously effective way to reach out to an extremely targeted audience. Facebook offers a number of powerful tools for advertisers, including the ability to create custom audience lists –which allows you to segment your lists by interests so that you can reach them with relevant ads and content; increasing their effectiveness and reducing wasted ad spend. It’s no wonder that 96 percent of social media marketers consider Facebook to be the most effective social media advertising platform. Thanks to its capabilities and affordability, Facebook is one platform that you’ll seriously want to consider adding to your advertising arsenal. When it comes to Facebook, the best strategy is to employ a blend of both advertising and organic marketing. I’ll uncover strategies for both in a minute. Ok, before we dive in let’s take a quick look at one of Facebook’s latest algorithm updates. Dubbed the “meaningful interactions” update, this change comes amid Facebook’s efforts to provide users with more meaningful content, the kind they can engage with and connect with. This is one reason that Facebook’s increasingly prioritizing content from friends and family over messages from brands: Facebook feels that person-to-person connections are generally stronger than person-to-brand. Now, let’s break this down practically and take a quick look at how it works. There are quite literally thousands of different posts that could be displayed in a user’s newsfeed: how does Facebook determine which ones will appeal to someone the most? These factors are what Facebook uses to determine which content is served up into someone’s newsfeed. For marketers and brands, signals are the aspect of the algorithm update that we’ll want to focus on, and keep in mind when creating content that will reach more users’ newsfeeds. In light of the new update, Facebook’s putting a lot of emphasis on what are called active signals. Active interactions such as likes, comments, and shares will be given more weight than passive ones like clicks, watches, and hovers. For marketers, the focus should be on producing content that your audience is genuinely interested in, the kind that they’ll be inclined to share and comment on. Passive views and hovers alone aren’t going to cut it anymore. Also known as engagement bait, any content that tries to goad people into interactions will be demoted. 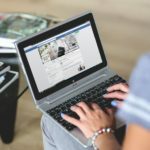 For a complete list of tips for creating content that’s in line with Facebook’s new guidelines, be sure to download your free worksheet –available at the end of this article. Now, let’s take a look at a few preliminary steps that you should focus on before you even begin your marketing and advertising efforts. Whether you’re running an ad campaign or focusing on your marketing efforts, you’ll want to ensure that you have a clear idea on who your audience is before you start. Before you can map out your strategy, you’ll want to ensure that you have a good idea about who your audience is. If you haven’t done so already, begin by creating a customer avatar; a profile of your ideal customer. Once you know who your target customers are you’ll be able to create a more targeted campaign that will allow you to reach them more effectively. Before you create a Facebook marketing or advertising campaign, you’ll also want to define your campaign goals. Are you looking to increase customer acquisition, boost immediate sales, drive brand awareness, or get people to subscribe to your email list? Leads, traffic, reach, and sales are all common goals. Once you’ve established your objectives, you’ll be able to create a strategy that will help you to reach them. So, for example, say your goal is to drive immediate sales. In this case, you’ll want to create ads that link directly to your product pages. If it’s to add people to your mailing list, you’ll want to offer them something of value, either informative content, or a discount code, for example, that they will receive in exchange for their email. 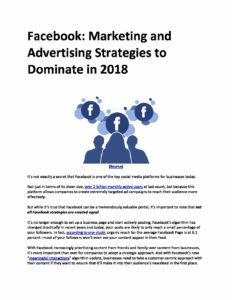 Get our Facebook: Marketing and Advertising Strategies to Dominate in 2018 Worksheet delivered right to your inbox. Due to Facebook’s algorithm changes, it’s becoming increasingly necessary to pay to play. Here’s a look at how you can go about creating ads that are designed to convert. Facebook Ads offer a number of valuable tools and advertising options that can help you to boost the effectiveness of your campaigns. One such valuable tool is their Custom Audiences feature. With custom audiences, you can upload the email addresses of existing customers or subscribers and segment your groups into specific categories. This allows you to create tailored ad campaigns that are more likely to convert. You can create an audience of purchasers, current customers, or even segment by different actions that people took on your website. This approach allows you to create extremely tailored and targeted messages that are designed to reach this group exactly where they’re at; drastically increasing their effectiveness. So, for example, you could create a custom audience of people who have purchased a specific product, and then pitch an add-on or other related product that they may be interested in. You can also tweak your list to add filters such as age, interests, and more so you can ensure that your ad only reaches prospects that are most likely to convert; reducing wasted ad spend. You can take things a step farther and create Lookalike Audiences as well. With a Lookalike Audience, Facebook makes it easy for you to find new prospective customers that match your existing audiences in some way. With this tool, Facebook will match interests and demographic data with your existing customer base to increase your leads and grow your page likes. Posts with photos get 39 percent more interaction than their imageless counterparts. Whenever possible, look to create ads that use a high-quality image. Photos that look professional give the impression that you’re a professional company. Pay attention to the angle and composition, as well as the lighting. Remember that bold, strong colors show up great against Facebook’s background. You’ll also want to follow Facebook’s image guidelines. If your image gets resized, it may not look the way that you intended. Also, you’ll want to look to minimize text in your images. Generally, Facebook recommends that text doesn’t cover more than about 20% of the image’s area. Your audience isn’t going to want to read an in-depth exposé on your product. Look to keep things short and to the point. Grab attention with a compelling headline and keep their interest with catchy text. Remember, it’s not about you; it’s about your customers. What are they interested in? How can you explain why your products are perfect for them? Think about their needs, interests, and pain points, and speak to them when creating ad copy. Finally, don’t forget to track your campaign’s success with analytics. Click-through rates –clicks divided by impressions will indicate how effective or relevant the ad is, while conversion rates will give you a good idea of how well your landing page is performing. You could even A/B test different versions of your ad to see what’s working and what isn’t. Try different images featuring just your product or your product being used; or trial different headlines to see which one generates the most clicks. Adjust your strategy as you continue to learn. In addition to embracing Facebook advertising as a way to increase your reach, looking for ways to boost your organic reach is always a good idea as well. Here’s a look at a few different ways that e-commerce stores can help to extend their organic reach on Facebook. When sharing on Facebook, remember –approximately 80 percent of what you say should be entertaining or conversational, and only 20 percent should be about the product that you’re selling. While a certain level of promotion is expected, don’t wear your followers out with a constant barrage of salesy posts. Fight the temptation to continually promote on your page. Facebook has millions of active groups, and there’s something for everything and everyone. 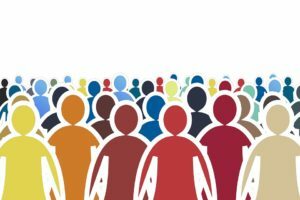 Joining these groups could be your key to generating interest for your company, and if there’s nothing that fits your demographic, look to create your own groups. Sharing in groups can be a great way to spread the word about your product or service –as long as you’re not overtly promotional and abide by the guidelines of the group. For instance, if you sell computer parts you could join or create a tech support group and offer the occasional pitch that includes recommendations for your products. Let your personality show! People enjoy connecting with brands that aren’t afraid to show some personality, so look to be personable whenever possible. In business, it’s always a good idea to be consistent. 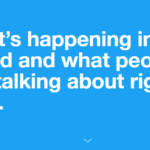 This is true when it comes to your social media posts as well. A consistent voice, message, and approach will help to warm prospects to your company; giving them a good idea about what they can expect. Don’t forget to have fun with your Facebook page! Taking a lighthearted and fun approach is the best way to go. Questions tend to drive interaction up 10-20 percent. Post intriguing questions on your wall, or try a fill-in-the-blank style query to get your followers thinking. Don’t overwhelm your followers with long-winded, wordy, jargon-filled posts. Instead, keep things relevant and look to provide simple posts that are useful to them, or that they’ll find entertaining. 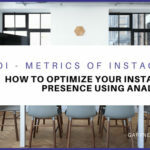 With users spending 3X more time watching Facebook Live than traditional videos on Facebook; it’s the perfect opportunity to boost your organic reach on the platform. Introduce the video topic and yourself multiple times and for at least a minute and keep saying hello to people as they come in. Move around to keep your video visually dynamic. Try to talk for more than ten minutes, as you’ll get more viewers as the video gets rolling. If you introduce everything awesome in the beginning then the people who arrive later won’t know what’s happening. If you mess up, acknowledge it and keep going. Embrace the live factor! It’s real and people expect a certain level of imperfection, it’s what makes you human after all. Be sure to ask your viewers to share, Like, and comment to increase your videos’ reach –especially in the beginning. Equally important to what you publish, is when you publish it. While the best time to publish will depend on your audience, which time zone they’re located in, and other factors –generally speaking, content posted at 1 pm tends to get the most shares, while content shared at 3 pm gets the most clicks. As far as days of the week go, content shared on Sunday, Thursday, Friday, and Saturday tends to benefit from higher engagement. Finally, show your followers some love by responding to their posts, questions, and messages. Always treat them well and be appreciative of them. It’ll go a long way towards warming them over. For most brands today, using a combination of both Facebook advertising and good old-fashioned marketing is usually the best approach. Of course, you’ll also want to ensure that your content is created in-line with Facebook’s algorithm updates. This will allow you to create posts that not only resonate with your audience –but also make it into their newsfeed in the first place. What strategies have you used to expand your reach on Facebook?